AFP Photographer Massoud Hossaini took a photo known as the "Girl in the Green Dress." It shows a 12-year-old Afghan Shia Muslim girl, Tarana Akbari, crying near dead and injured people after explosions during a religious ceremony at the Abul Fazel shrine in the centre of Kabul. 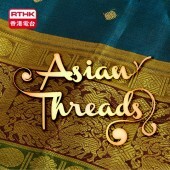 On this episode of Asian Threads, Reenita talks with Massoud to discover the story behind the photo ---- what happened on that holy day of Ashura and the circumstances guiding Massoud's capture of that heartbreaking image one day in Kabul.